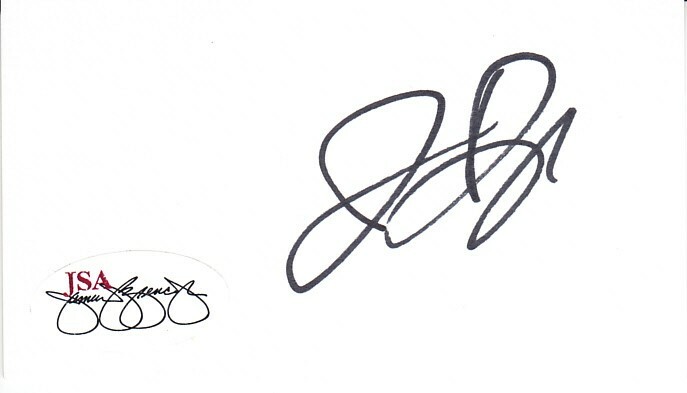 Blank white back of a standard size business card autographed in black marker by Chicago White Sox 2005 World Series MVP Jermaine Dye. Obtained in person at celebrity golf tournament. Authenticated by JSA with their Stamp of Approval unnumbered sticker and certificate of authenticity from AutographsForSale.com. ONLY ONE AVAILABLE FOR SALE.